Ten minutes doesn’t sound like a lot. Dusty crushed it at the Santa Barbara Triathlon Saturday. He went 10 minutes faster then last year’s time on this course finishing 15th overall and 4th in his age group. Half of that savings was on the bike. I’m not saying his Shiv had anything to do with it, but it’s a sweet, sweet ride. 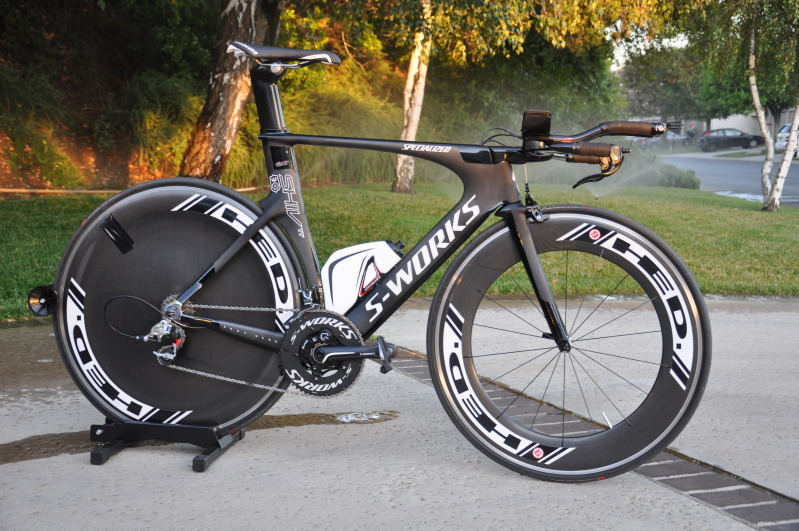 That is the nicest looking Shiv I have seen…love the flat black. Looks stealth and obviously fast! I agree with Billy, that shiv looks rad!